I recently wrote about the inconsistency of birthdates for individuals through the various census records. (See: Arthur Durwood Brown – Born 1869.) Mary Electa (Parsons) Sanford is one of the worst I’ve ever seen. She only ages four years during the decade between 1850 and 1860. Records that provide a month for her birth are consistent – September. Assuming she was born in September, the Census records infer birth years of 1926, 1827, 1828, 1829, and 1833. So, I thought I’d do a birth table for her showing the data and source I have for it. I found it interesting to note that that the book suggests 1828 as her birth year, a year not inferred by any of the Census records. But which record would provide the proof? Table – Potential Birth Years for Mary Electa Parsons Sanford. I have been unable to find a primary source for her birthday. The “best” record I have regarding her birth year is her marriage return. I have found state filed marriage records to be very accurate regarding the date of the marriage, but not so accurate regarding the ages of the bride and groom. Couples often give their ages as compliant to the laws of the state and not necessarily their actual age. I have also seen records where a man said his age was many years younger than he was when he was marrying a woman half his age. I decided to look closely at the Census and other records to provide enough background to be able to look at the marriage return critically. I marveled that Mary Electra only aged four years between the 1850 and 1860 Censuses. To her credit, she aged fourteen years between 1860 and 1870. Most confusing is that her burial marker shows the birth year of 1829 the History of Washtenaw… indicates 1928. If Mary’s birthday was 14 September and she married at 17 years of age on 29 October 1845, she would have to have been born on 1828. If she were older, there would not have been any reason to make herself younger. If she were younger, she might have needed to age herself up to fulfill legal requirements. 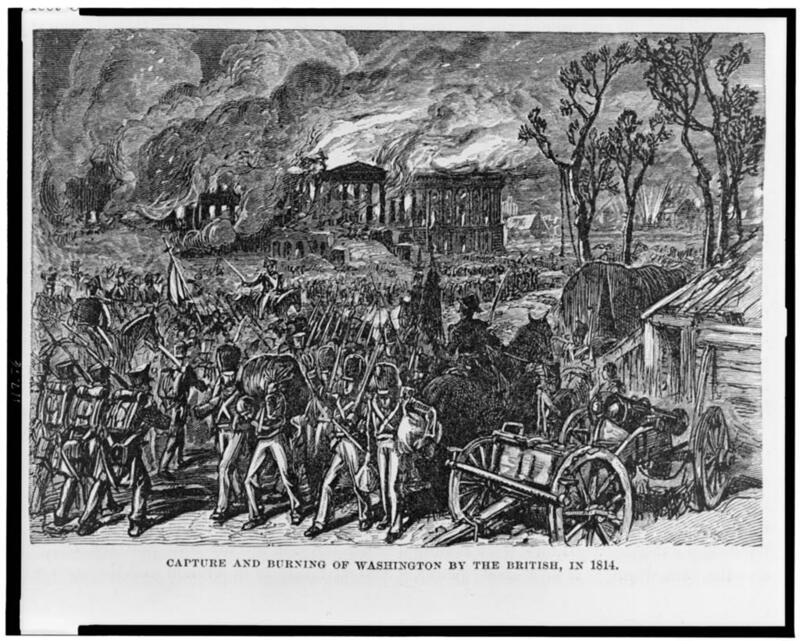 For quite a while I favored the 1850 and 1880 Censuses that suggest a 1827 birthdate. In 1860, she identified herself as much younger than she was. Again in 1870, she identified herself as somewhat younger than she was. I think a very telling document about her is her marker. It indicates that she was younger than any of the other documents (expect for the 1860 Census). So, it seems her friends and family, who had the marker carved, thought she was younger than she was. For me, the marriage return is the closest document I have and that leaves me in something of a quandary. I have not been able to find what the law was in 1845. I know that Michigan’s age of consent without parental approval was 18 in 1887. However, I couldn’t find a law before that. Was there a reason for Mary Electa to make herself a year older? I don’t know the answer. It could be. However, in the absence of a compelling reason to believe otherwise, I’ve decided to accept the year of birth reported in The History of Washtenaw County… and reported by the Marriage Return and not the year chiseled into her marker or any of the Census records. 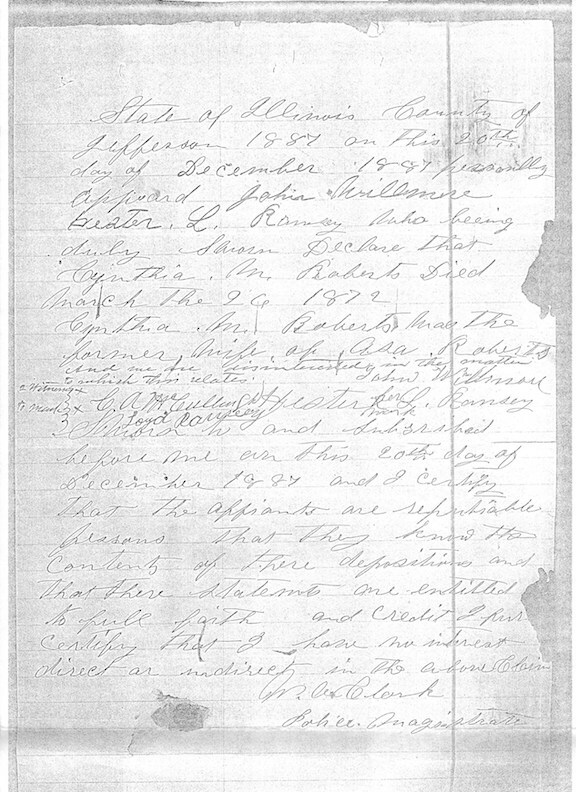 By the way, The History of Washtenaw County… reported her marriage as 9 Nov 1845 and not 29 Oct 1845, as stated in the Marriage Return. Being wrong in one fact reduces the creditability for the other events in the book and concern me greatly. If anyone knows of any other records which provide a clear answer to the year of Mary Electa Parson’s birth, I’d love to learn of it. Please comment below. Also, if you know a good source regarding what laws affected marriage with and without consent in Michigan in 1845, I’d love to learn about the source. Chester Parsons (Jr.} Born in 1820. Sarah’s parents, Chester and Deborah appear to have been married in 1824. As such, it is unclear if Chester Jr. (and Sarah Jane) were children of Chester and Deborah, half-siblings to Mary Electa, or were related in some other way. Further research is needed to understand these relationships. James – another brother, James, was born and died in 1826. The 10-year gap between E.W. and Melissa suggests the possibility of additional children conceived between 1834 and 1840, possibly three. We do know that Mary Electa’s father, Chester, purchased 160 acres in Saline Township in 1834, so it appears that she grew up as a farm girl in a pioneer setting. The 1840 Census appears to show that her father, Chester, was living in Seline with a child of Mary Electa’s age. It was probably a close family with Grandfather Maben living with them in 1840. In any event, Mary’s childhood was short lived. She married William M. Sanford on 29 October 1845 at the age of 17 in Washtenaw County Michigan by William Hurley, a Minister of the Gospel. Their first child, Marion, came quickly, sometime within 16 months of their marriage. Their second child, whose name is unknown, was born in April 1850; however, he or she does not show up in the 1860 census and is believed to have died. Their third child, Elva, was born in 1852 or 1853. 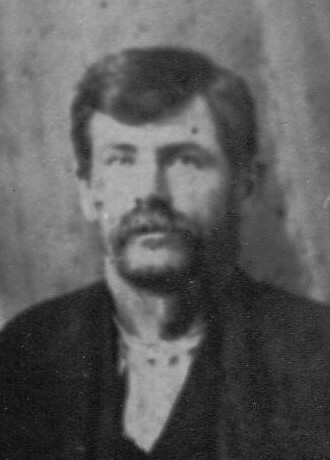 Almon C. was born October 1855, married, had several children, and died in 1922. William A (aka Willie) was born in 1858 or 1859; he married Victoria Waller. George Poindexter Sanford was born 7 Oct 1865 in Saline. He married Etta J. Miller in 1896, had children, and died in 1932. 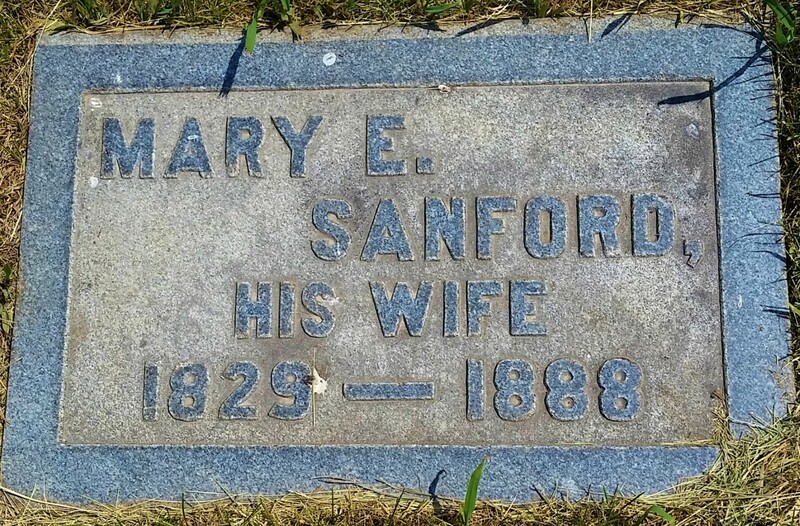 Finally, it appears that there was one more child of William M and Mary Electa Sanford who died before 1881. I am not sure where that child fits in the scheme of things. Mary kept house during the 1860, 1870, and 1880 censuses and does not appear to have had a job outside the home. In 1885 the William and Mary located to Wells, North Dakota along with two of their sons, Almon and George. Mary died on 18 June 1888 and was buried at Lake View Cemetery in Cathay, Wells County, North Dakota on Row 8. Research the life of Mary Electa Parsons Sanford further. Follow-up by researching lives of Mary Electa’s other children. Follow-up by researching lives of Mary Electa’s sibling.